QOTD: What Was the Record Low Peak HP RPM in the Malaise Era? And Why? The Vintage Review of the 1979 AMC Spirit brought home just how badly strangled the American car engines were in the so-called Malaise Era. Its 304 (5.0 L) V8 engine wheezed out all of 125 net hp at…3200 rpm! Wow. To put that in perspective, that’s the same net hp power peak rpm as a 1947 Chevrolet’s 216 CID “stovebolt” six (83 net hp @3200 rpm). So the question today is whether the AMC’s 3200 rpm is a record low, or whether there were even lower ones. And why. Obviously, the “why” is because the American manufacturers had great difficulty in making their engines run properly (or at all) with the emission technology of the day. But what exactly caused such low power peaks? Retarded timing? That’s probably a key culprit, but can anyone shed more light on this dark period? The 1980 Nissan 200SX we read about here the other day provides a stark counterpoint. It’s 2.0 L four, or less than half the AMC’s V8, made 100 hp @ 5200 rpm. If there had been a V8 version of it, it would have made 200 hp from 4.0 liters. A safe assumption is thta if it were bumped up to 5.0 liters, it would have made some 240 hp. Obviously, Nissan, Toyota, Honda and the other import manufacturers were spending some serious money and effort on ways to keep power (and economy) up while still meeting the ever-tightening emission regulations. Maybe it’s unfair to pick on AMC, as they didn’t have the resources. But it was no different over at the Big Three. We’ve noted the very low power outputs here, when we looked for the lowest specific hp per cubic inch. And we also found the car with the lowest hp per pound. But now let’s find the slowest-revving engine. And don’t bother looking at the imports. Update: we’re looking for low rpm (at the power peak) not what the hp level is. We’ve done that in the linked post above. The 1975 Ford 200 Six made peak power of 75hp@3200 rpm. Do we exclude really old pre-WWII cars which were low-revving by design? 72hp @ 2900 RPM, 180ft-lbs @ 1400 RPM. 70hp @ 2800 RPM, 170 ft-lbs @1400 RPM. Looks like we have the winner. But don’t you mean the 200? Or is it really the 250 that made 70hp @2800 rpm (CA)? No, that was the 250. It seemed to really suffer once emissions tightened. The 200 cid engine horsepower isn’t listed for 1975, but for 1976 the 200 actually made slightly more power than the 250 (up to 5 hp, depending on which versions are compared). However, the 200 made it at the “sky high” 3300 RPM. The 250 did have about a 28 ft-lbs torque advantage (1976 numbers). Don’t forget that in 1975, the Ford 302 was rated at 122 HP (115 HP with CA emissions). And the 400 was rated at 158 HP (144 HP in California). Pretty anemic. The 400 was retuned in 1976 and was back to 180 HP. Olds 403 for the win. 185hp @ 3600 rpm. 320tq @ 2200 rpm. For the win? Explain, please. I read it wrong about being hp peak rpms, I know the olds v8s always had low rpm torque usually around 2,000 -2,200. I guess I win nothing. AMC deserves some credit for being so transparent. Figuring Ford earned this honor, I went to oldcarbrochures. After scouring the 1970s, there was no mention of horsepower in what I examined. Go figure. Who could blame them for not wanting to mention their output. An old Chilton’s Manual would be great right now. It’s insane to think that an 5.0l V8 engine can be strangled down to 125hp and still run at all. My dad’s Frontier with the 3.3 feels kind of lethargic, I can’t imagine a “muscle” car that weighs about the same with 125hp. These engines were lo horsepower per cubic inch, but they weren’t as bad as they seem on paper. They had very strong low end torque that made for relatively effortless cruising. Just forget about having any power when you kicked in the passing gear and revved it up. In comparison to the smaller displacement engines like the 305 and 302 from this era may have made more horsepower per cubic inch, but they lack of bottom end power and low hp peaks made them feel far worse in day to day driving. Matt: 3800 rpm is 600 more than the AMC engine I used in the post. We’re looking for engines with lower, not higher power peaks. My bad Paul, I had this engine in mind and as someone else mentioned Ford horsepower figures with their RPM are somewhat elusive, so when I found the link I posted before taking in that higher number. Even worse was the CA emissions 302 found in the Maverick, Comet, Granada and Monarch for 1975. There were many V8s from this era that had horsepower peaks at 3200 RPM. Most American V8’s from the mid 70’s to the early 80’s had their peak horsepower under 4000 RPM. 132 hp @ 3000 RPM and 266 ft-lbs @1200 RPM. I will see what else I can dig up when I have more time. In 1977-78, the Mopar 440 (non police) with Lean Burn was rated at 195 HP (CA and high altitude were 185HP). Also the 1980 318 2bbl was 120HP. The 360 2bbl that year was 130 HP (neither of those engines were available in CA). The Chrysler engines were low specific output per cubic inch, but they power peaks weren’t very low on the RPM scale in comparison to the above engines. I am amazed at what little difference there was in both horsepower and torque for the two AMC sixes. Five hp. Ten lb/ft of torque. And a power peak at 3050rpm? Like that 50rpm made such a difference to the figures. Wow! You really have to wonder whether it was worth their effort producing the two different size sixes – or was there some difference in driving characteristics that the figures don’t show? I do remember driving a 1981 RWD Concord with the 258 and 3 speed automatic. It was nearly as quick as some V8’s of the time. I would have to look up what rear end gearing was used and I’m pretty sure AMC did not publish power figures but seat of the pants felt like this engine must have been making around 120 Hp and 210 torque. My childhood neighbors had an early 1970’s AMC Hornet wagon with the 258 and they never once complained about it being underpowered. I imagine that if it was 232 equipped it wouldn’t have felt as snappy despite only having 5 more horses and 10 torque or whatever the actual rated figures were for that model year Hornet. Since, I didn’t have time to answer the second part of the question, I will offer my input on that. There is a variety of reasons on why the output of many American engines dropped to such low peaks during this era. Firstly, emission regulations required these engines to clean up. Even engines designed in the late 1960’s, which had some thought about emissions go into there design, still required extensive de-smogging by the mid 1970’s standards. The rudimentary emission controls helped, but eventually more drastic action was required. Compression ratios need to drop, and camshaft events need to be altered (retarded cam timing, short duration with minimal overlap) and carbs needed to be leaned out to reduce unburned hydro-carbons. By 1973 there were no high compression engines left and carbs were leaned out so much that driveability suffered. This lead to development of electronic high-output ignition systems to help burn the leaner mixtures that an old point system couldn’t handle. As things tightened even more, this lead to the catalytic converter, which in it’s earliest forms was often very restrictive. Look at the power ratings for 1975 GM and Ford cars vs 1974. There was drastic drops. 1975 for Ford and GM is probably the worst year overall for both as power per cubic inch (Mopar didn’t suffer as much). As time went on, they found ways to improved things and power per cubic inch generally increased during the late 1970’s. Other factors were antiquate carburetors. GM was still using the old 2GC carb in the 1970’s which dated back the the 1950’s. It often couldn’t pass CA emissions. Then later on, GM used the dual jet (half a Q-jet) which was so restrictive it just didn’t flow enough air to the engine (see the 1979 305-2bbl). Of course during all this time, CAFE was coming into play and that meant the easiest solution was very high (numerically low) rear ends. This meant engines needed low RPM power bands to pull these big land yachts with steep rear ends, all the while still producing low emissions. Improving fuel economy while decreasing emissions was often counter productive with the technology used in this era. And I am sure during this time, the Big 3 were trying to nickle and dime as much as possible so these new regulations didn’t eat too much of their fat profit margins. So instead of starting from scratch to meet these goals, they all used old engine designs, many of which dated well before emissions and fuel economy was any sort of consideration. In the end, trying to balance all these factors resulted in these low RPM engines. They did the job that was required, at minimal cost to the manufacturer. There were still some okay higher performance engines from this era, like the L82 350’s, but for the most part I think the manufacturers didn’t give performance much if any thought. It was just easier to just do barely enough with what you have. These engines were that, just barely enough to do the job. The Japanese cars on the other hand, already got great mileage, and they had lots of experience with building good performing small engines. Of course they had to deal with the emissions regulations. However, by producing smaller more efficient cars to begin with, and only having to really deal with emissions and not worry about fuel economy (since it was already good enough), definitely played to their advantage. Regarding the why: one issue was fuel consumption. By gearing the cars to run at a slower engine speed, low end torque was desired. If the engine is tuned for the peak torque around 2000 RPM’s or even less, then the peak horsepower will be at a lower speed. Peak torque in the 60’s was around 2800 RPM’s with peak horsepower around 4400 or so. So if the peak torque is moved down 800 RPM’s the peak horsepower should move down 800 RPM’s too. Gross ratings are one thing, and net are another. As for why, while not being a combustion expert, I’ll venture an educated guess. Gasoline engines issue three types of pollutants, carbon monoxide, unburned hydrocarbons, and oxides of nitrogen. 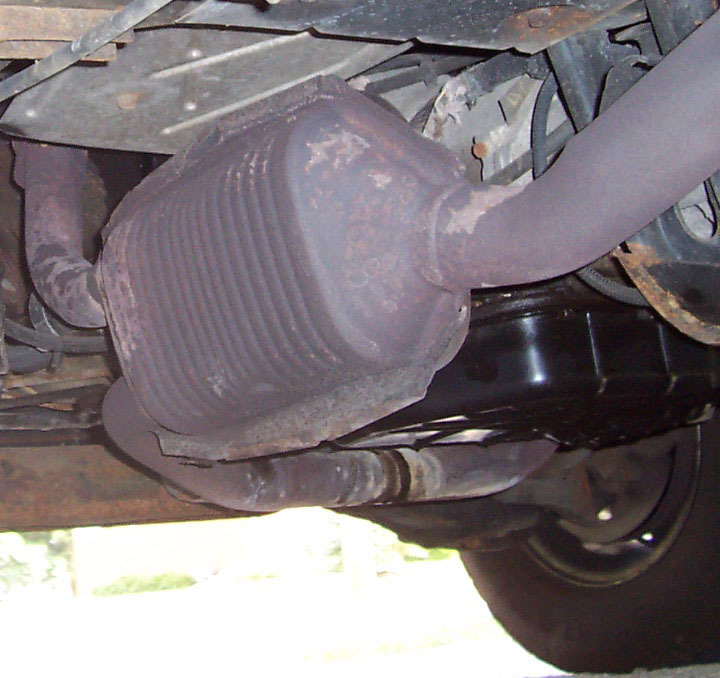 Wikipedia says the CO and HC were cleaned up by two-way catalytic converters starting in 1975. That left the oxides of nitrogen, which are mostly created by raising air to a high temperature in combustion. Three-way catalysts came along starting in 1981 to clean up the NOx. So between 1975 and 1981, I imagine engineers avoided high temperatures in the combustion chamber, simply by keeping peak power rpm down. Cool burning of rich mixtures avoided the NOx and promoted production of HC and CO, but the two-way catalytic converters of the time could clean that up. After 1981 they could rev up again as all three pollutants were cleaned up by the catalysts. In the eighties engine computers became available to get more sophisticated about managing pollutants while maintaining power, torque and smooth operation. Anyone more expert on this please weigh in! The EGR valve is one of the main tools used to fight NOx in the early days. The exhaust is an inert gas that slows down combustion and lowers peak temps. Timing advance is another way to combat NOx. The later the spark the lower the peak temp. It was not uncommon to have road speed controlled vacuum advance in the early 70’s. 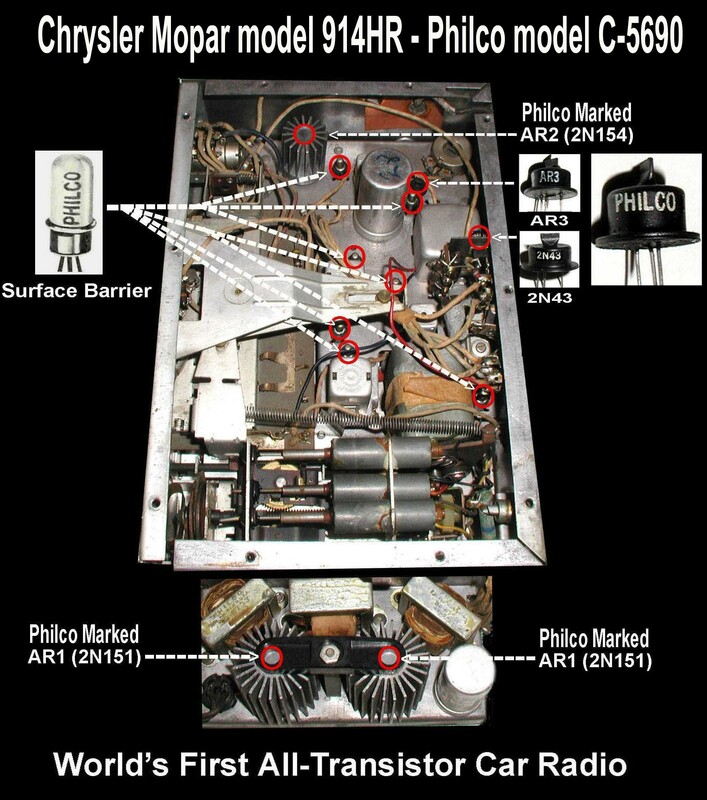 There would be device in the speedo cable that would either control a solenoid to create a vacuum leak in the vac advance line or mechancially did it itself. Others were tied to a “top gear” switch that would bleed out that advance when the car was in that top gear. Also you are correct in that they also tended to run them on the rich side, not only to combat NOx but to ensure the cat had enough fuel to “light off” and sustain the reactions. poor breathing was a big part of it. small ports, mild cam profiles, etc. one of the useful side effects of it was better air-fuel mixing between the carb and cylinder; the increased velocity and turbulence at low engine speed improved driveability and reduced the amount of pollutants the engine generated in the first place. the downside, of course, was that it couldn’t breathe at higher RPMs and fell on its face. Rather like trying to run a marathon while only being able to breathe through a straw. Exactly. Small port cylinder heads combined with low lift/overlap cam profiles, improved velocity of the air fuel mixture at low speeds, this increased atomization of the mixture, which decreased emissions. It also choked off flow at high RPM, which led to the pathetically low HP ratings. This concept notably affected the Olds 260 and 7A head 307. It was also why the Pontiac 301 couldn’t breath and make power above 4000 RPM’s with it’s siamesed intake ports. Most of the inline 6 engines of the time were out of breath by this point too and all of these engines made there power at low RPM’s. There are plenty of other examples of this. I don’t know what the lowest power peak would have been, but some of the reasons for the pathetic outputs were things like retarding ignition and or cam timing, very low compression ratios, EGR, AIR and preheated intake systems along with the high exhaust restriction of early catalytic converters. Carburetors and chokes were calibrated solely to pass emissions testing and/or produce the best theoretical economy in a specific test. Some domestic manufacturers were better at this than others, but no one did a very good job. Tuning this stuff after a it was a few years old was always tricky. You had to know what you were doing if your plan was to remove it all, and good luck selling the vehicle anywhere that had emissions testing if you did. EFI and computerized engine management systems were the best thing that ever happened once they figured out how to do it reliably and cheaply. Truly a dark time in automotive history, the late ’70s. What I find interesting is the fact that it lists carburation as 1×2 Ford. Technically it was a Ford Motorcraft carb and is often referred to as simply a Motorcraft. Seems like that would be better than putting a competitor’s name in your brochure. Regarding peak power and at what rpm it is produced is based on a number of factors cam timing, induction design and capacity, and exhaust flow capability. It is also important to note that HP is calculated from the torque output. Torque is a force, power is the rate of application of a force. So what we are really interested in is the torque curve and its peak. If torque drops off dramatically then spinning it faster doesn’t get you more power. So to give the customers what they were used to cam timing favored building torque at low rpm. That low torque peak is also desired to allow the engine to have the ability to pull those steep rear end ratios favorable to better fuel economy. In general an engine operates most efficiently right near that torque peak too. The carb is also key to the emissions and fuel economy equation. You need a tightly held A/F ratio with even distribution to minimize emissions and maximize fuel economy. Carbs are poor at that at lower throttle angles and low venturi velocities. So a smaller carb means a larger throttle angle and higher venturi velocities at the same amount of air flow and thus more consistent A/F ratio and distribution. Unfortunately the max power is dependent on how much air the carb can allow into the engine. Finally those early pellet cats were very restrictive in general and similar to the carb there are benefits from not making it too big. So how did Nissan get 100 hp out of that 2.0L four? Black magic? Weren’t the emissions regs in grams per mile? Small engine, small car can have a higher percentage of exhaust emissions. Then the Ford 200 six, which made only some 70 hp, should intrinsically have lower emissions, given its lower output. I asked the question about the Datsun engine rhetorically, as they obviously ut a whole lot more effort into it than the American manufacturers. An emissions test is done over a test cycle with a specified course and speeds. A lighter car demands less work, which means less combustion. So a higher proportion of exhaust gas can be CO, HC and NOx for a given grams/mile. The engine can less restricted, so it can have higher peak hp. Engines in heavier, cheaper or otherwise less advanced cars had to be more restricted, which pushed down their peak power rpm. To answer the QOTD, that’s why (IMHO). yep, same reason the Japanese electronics companies took over the market. 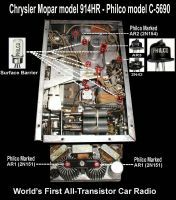 they readily adopted solid-state electronics and put the effort into designing products around transistors, while the Western companies were clinging to vacuum tubes. the #1 killer of established companies is INERTIA. Automotively speaking, it’s worth noting the first transistor car radio was the Chrysler Mopar 914HR, developed in partnership with Philco, offered as an option on the 1956 Chrysler and Imperial. Ford introduced an engine control computer in 1978. Were they the first? @Mike as far as in-house developed engine computers GM beat Ford to the punch with the port EFI that was optional on the Eldorado 500 in 1975. The injectors were licensed Bosch technology. GM and Ford led the way in engine control systems. While others complied with OBD-I regulations with the bare minimum of at little as 5 or 6 codes that just gave you a general code like O2 sensor the GM and Ford codes were much more specific and you might have several for the same system, such as O2 sensor always lean and O2 sensor always rich, or no O2 sensor signal. Ford even had their systems capable of running a number of self tests including cylinder power balance and cycling of outputs on command. So it could tell you which cyl was missfiring well before that was required by the OBD-II mandate. @Scoutdude: Cadillac’s first fuel injection systems in the mid 70’s were analog computer controlled, not digital computers. Yes standards were in grams per mile which inherently favored small light cars with small engines. The less fuel used per mile the less potential for emissions and the dirtier it can run and meet those standards that are based in grams per mile. Torque is a force, that is what makes things move. Power is the rate of application of a force. If you want to use Horsepower as your unit HP = Tq*rpm/5252. So to get that 100 hp out of 2l they used cam timing that favored torque production at a higher rpm and spun up the engine to a higher rpm. The fact that the car was lighter and smaller means that you can get away with things that favor that high rpm operation that also mean a greater percentage of undesirable combustion by products. The Falcon 6 is its own unique problems. It was built to a price and that integrated manifold is a nightmare in the emissions dept, even more than other carb equipped 6 cylinders. To prevent the outer cylinders from running dangerously lean the center cylinders end up running rich. As Mike pointed out even though they had some advantages based on how the standards were measured they did have to spend a fair amount on the NAPS-Z system to make it all possible. By this time the conventional wisdom was that the V8 was dead so it would not have made any sense to spend money on extensive revisions on something you think you’ll be pulling the plug on any day. It’s a lot easier to get 100 hp I4s to pass both the EPA emission and the CAFE-rules, and then be functional in a small car with manual transmissions. The big american cars was heavy, comfortable and quiet. And to pass the CAFE-rules they had to be geared high to get the rpms down, then they had to have the power at the low rpms, and without revs, low power. To clear the same emission rules cost a lot more in a 5 liter V8 than in a 2 liter I4. In Europe we got a lot more than 100 hp out of an 2.0 liter engine, but there was no emission rules here until the 90s and no CAFE-rules of fuel economy either. You can try to fit a 2 liter I4 with 100 hp in an american car with automatic transmission and 2:28 gearing, or you could use the 5 liter with 122 hp with the same gearing. The latter one will get everyday driving comfortable, the 2 liter would struggle and maybe even use more gas because of a very low levels of torque, and the torque and the horsepower is at higher rpms. C&D’s sidebar about Nissan’s NAPS-Z engine explains the SOHC, hemi-head, two-plugs-per-cylinder techniques that got them power while still meeting California’s 1.0 grams per mile NOx standard. So I believe Nissan used a combination of expensive high technologies in engine design and relatively light weight (2620 lb. vs Spirit’s 3160 lb.) to make a faster car without a 3-way cat. It’s worth noting that this was a problem for Nissan at home as well as in the U.S. Japan’s 1978 regulations were tougher than California’s because Japan pegged its standards to the original U.S. Clean Air Act numbers without the delays and rollbacks the U.S. got. For fiscal 1978, the JDM requirements became 3.4 g/mi of CO, 0.4 g/mi HC, and 0.4 g/mi NOx. Japanese automakers adopted a variety of different strategies for different engines, including Honda-style lean burn (which Toyota actually licensed from Honda), three-way catalysts, and thermal reactors (two-way catalyst). Some of it was that three-way cats required rare earths that made them expensive, and it took a while before suppliers were prepared to provide them in the volumes required. A thermal reactor isn’t a two way cat. A thermal reactor is just an insulated chamber. It works by opening the exhaust early enough so the fire is still burning and letting it finish burning in the reactor with a supply of air. As I understand it, there are both catalyzed and uncatalyzed thermal reactors, but I suppose a more appropriate generic term would be “oxidizing reactor,” since that’s the object. Correct. The NAPS-Z engine was specifically designed as a low emission engine while maintaining drivability. Perfect for use in stylish econoboxes. Modern head design and electronic fuel injection primarily. US manufacturers were trying to make 1950’s/60’s V8’s get optimal gas mileage with carb’s and three speed transmissions while also minimizing emissions. Fuel injection, better cylinder heads and overdrive 4 and 5 speed automatics let them get away from the Malaise era design limitations. Fuel injection and Lambda-sensor feedback control — that combination really went a long way toward avoiding the over-rich/over-lean issues faced by early smog-controlled engines. You’re looking at a magazine test article’s description of that Ford/Motorcraft carb, not an AMC brochure. I’m going with the 267 small block in our 1981 Impala: 115hp at 4000 rpm. 115hp works out to 0.43 hp per cubic inch. Pretty bad, not quite as bad as the Spirit. At 3483 pounds it’s 0.033 hp per pound. Not the worst, but again pretty bad. I’ll say this is a bigger sin than the AMC Spirit because GM had infinitely more resources to bring to the table, but chose not to. 1979 Dodge Aspen with the straight six. Ummm; that’s 400 rpm higher than the Spirit. Did you also misread the title and post? It’s amazing how proper EFI systems solved all of these malaise-era problems with driveability, horsepower & torque, fuel economy and emissions. Another matching the Spirit, I just learned, was the Olds/GM diesel, also 3200 rpm. Sure looks like AMC “wins” the low RPM game. My entry would be the Chevy Six, in the Nova from 1973. These made all of 100 hp @3600 RPM. I can’t imagine it ever spinning that fast. One of the first taxis I had the displeasure of driving was a 1973 Nova 6 with what had to be the last iteration of Powerglide in history. Slow would not describe this thing. I remember not being able to make it up a steep driveway, and having to ask passengers to push, so that Granny could get to the door. We were in a cool part of town, so the boys thought it was funny. Soon afterwards, the motor finally refused to start after like 300,000 miles and no maintenance to speak of. I was elated that the owner was going to buy a brand new engine for The Sled, as we called it. The irony is it wasn’t much faster. Oh and it made 100 hp@3600 RPM. I doubt I ever got above 3000.